About Jefta T. Message Jefta T.
Jefta met us on time, warmly introduced himself, and toured us in his comfortable, air-conditioned van. He elaborated on the beautiful Bali sites on our itinerary. I would highly recommend him. Jefta was a 5 star guide. He was extremely personable and very knowledgeable about all aspects of not just Bali but of the entire country. We have done many tours in lots of different places & this one will stand out as one of the best. We liked the fact that we could plan (with his help) our itinerary. Jefta is a definite asset to Tours by Locals! Ulun Dana Baratan is a beautiful temple in a serene lake side setting. Jatiluwih is a must visit, absolutely breathtaking. Tanah Lot is also gorgeous. The only thing to be mindful of is that these places are at distances from each other, so you drive around Bali. It is great to get a good feel of the countryside and the sheer beauty that this island is. Jefta is an knowledgeable and patient guide. Jefta is a super cool guide. He is well versed with Bali and made our tour extra special by his kind manners and delightful conversation. The hot spring is good fun and great swim. There were clouds over the mountains so we could not view the Mount Batur, however, the views are still spectacular. We were not interested in visiting the coffee plantation due to the inherent nature of exploitation of the civets, Jefta was very flexible and instead took us to the natural springs temple and the bamboo forest. It was the best decision that we made... to book a tour with Jefta! We book his Bali Photography and Drone Private tour. We gave him the list of what we want to see and let him pick all the locations because I figure that he'd know better. And it worked perfect. Jefta was very kind, knowledgeable and speaks English fluently. We learn so much about Balinese culture and history. We enjoyed the conversation with him. I highly recommend Jefta! Today we had a full day tour with Jeft and we could not of been more pleased! Jeft was wonderful from the moment we met him, very warm, friendly, and funny! He tailored our trip to include everything we wanted to see(which was a lot, and spread out) plus adding in some other sights along the way which we were very pleased with!! He was very socialable & knowledgeable and able to answer all the many questions we had & explain the history and significance of the sights we visited, we learned so much! We had a wonderful private Bali tour with Jefta. Jefta was very professional in his communication, approach in advance and during the tour. He was knowledgeable, informative and explicative. We got nice introductions before visiting each temple and further explanations during visiting the templos. He also kindly explain the culture and facts of Bali. I highly recommend him. We will contact him again when we are back in Bali. Jefta is very knowledgeable about the local community. He is friendly, smart and humorous, we enjoyed chatting with him throughout the journey. He also tailored the trip to our needs and worked extra long hour. Great travel guide and highly recommended. Jefta did a great job in working with our time constraints. He made sure we had the best experience we could possibly have. TOUR GUIDE RESPONSE: Dear Stephen. Thank you so much for your rates and review. We've spent a great time with Jefta (taking all the time about traditions of Bali and Ukraine). He even managed to present my girlfriend birthday cake, as she was having her B-Day on the day of our tour. We've become good friends. I will recommend Jefta to all my friends who plan to visit Bali. If you want to have a great time traveling -> You must choose one of Jefta's tours. And he is very flexible, so you will be able to visit all places you want. Don't hesitate book now or someone else would book. Jefta was great! He is friendly and speaks excellent English. 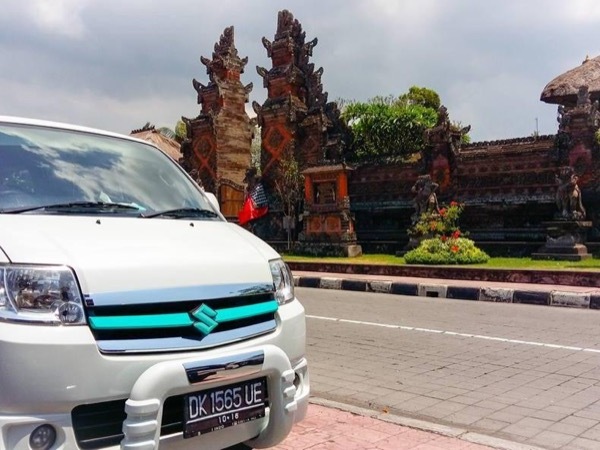 He is a good driver and is very knowledgeable about Bali. He was flexible and accommodated our requests to change the itinerary. We highly recommend him to anyone who plans to visit Bali and would definitely choose him again. Jefta provided just what we were looking for- a 6 hr mini tour of Bali with excellent commentary and evident warm pride in his community. We had lunch in a fabulous cafe serving up delicious traditional Indonesian fare. Dropped us off at the airport on time and refreshed. Jefta was a very considerate and flexible guide. We booked a tour scheduled to last 12 hours and Jefta followed our desire and move quicker through some of the sights. Jefta was very knowledgeable about the sights and was very safe while transporting us around Bali. Unlike some tours we did not stop at every tourist shop where we would be bombarded by hucksters. At the coffee plantation it was no pressure sales. Jefta was great!!! Jefta is a very knowledgeable, friendly and experienced guide. He tailored my Bali tour to my exact needs. Thanks Jefta!